Vérité Fútbol is a series that features New Yorkers from all corners of the world who in their own way have helped evolve NYC's soccer culture into the thriving, diverse community it is today. 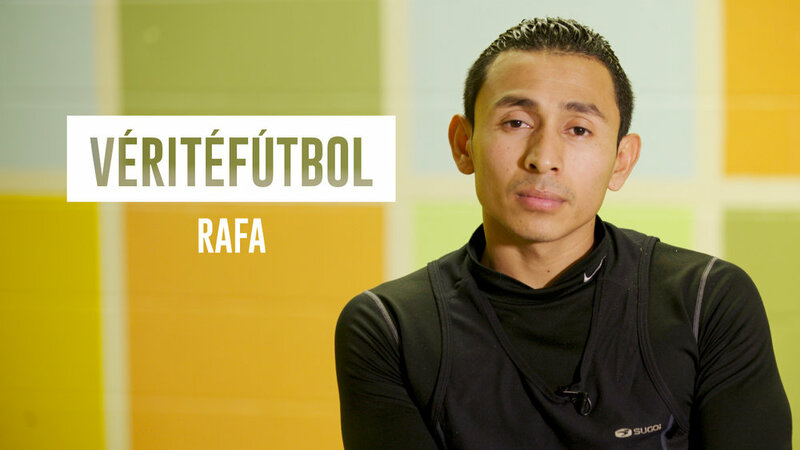 Torn between family and a promising future, Rafa decided to make a personal sacrifice at a young age and move to New York to support his parents. Life in the fast track can be very different and tough but he has been able to find his sanctuary on the "fútbol" fields. Eddie's childhood dream was to become a soccer player. The civil war of Liberia turned him into a refugee instead. It was years after, after he moved to New York, that he was able to fulfill that dream. Kimie is a true free spirit that led her to live adventures in Los Angeles, Georgia and New York, far from her home town in Ashikaga, Japan. She established herself and formed a family that opened her to a new passion. Hernán Amorini was born in Argentina and has been in New York for over 20 years. Despite living far from his hometown, he has become an avid fan of River Plate. In New York, he shares his passion of soccer and poetry. Charles "Duke" Chrichlow is a Brooklyn born Barbadian who grew up between cricket and soccer. Today, he is pursuing his dream of becoming a professional manager by working for Street Soccer USA, providing soccer opportunities in least served communities.